Is there anything better than parcels with your name on? 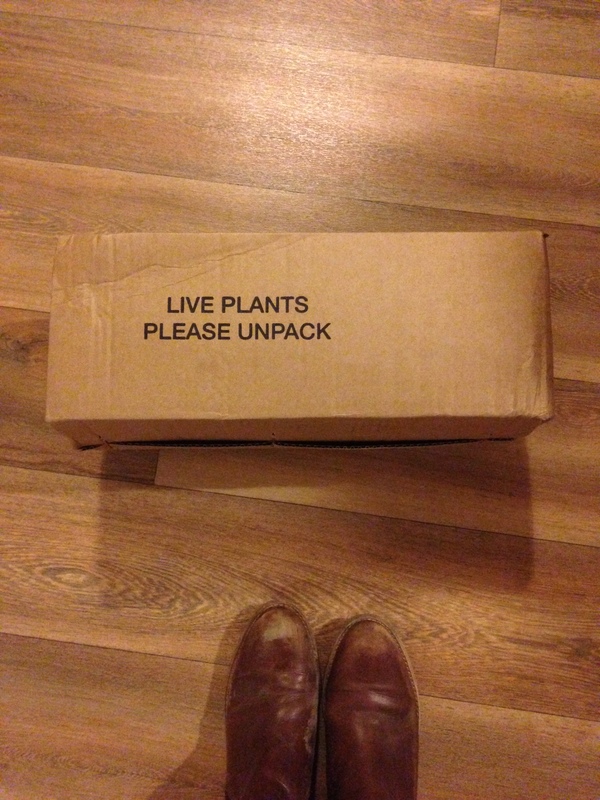 Especially parcels that say ‘LIVE PLANTS – UNPACK’?!?! Firstly – Live plants! Woop. Cannot wait to start planting on the allotment. Secondly – Unpack! Would love to, can anyone receive a parcel with their name on and not want to open it straight away? 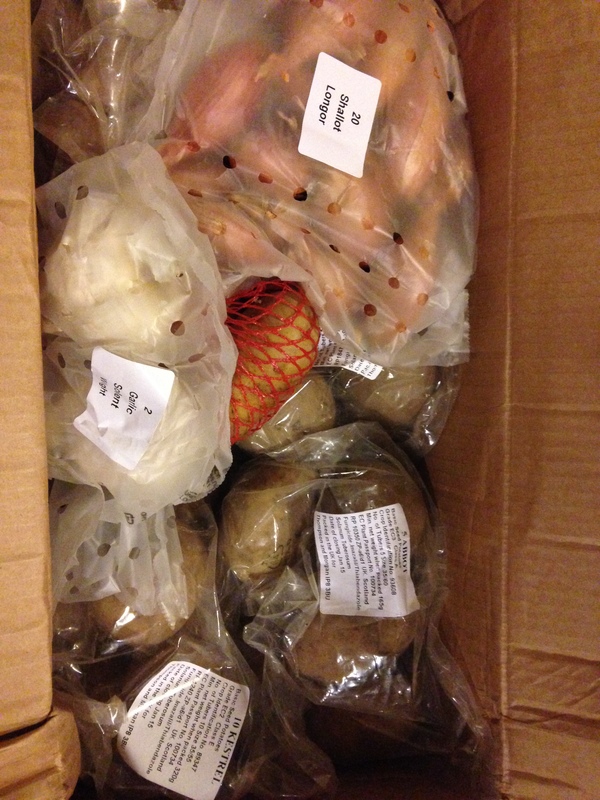 This year I have been very grown up (I think) and asked my Mum and Dad to get me seed potatoes for my Birthday (which is this Saturday, Yay). The parcel has arrived a few days early, but the box practically forced me to open it early. I usually go to Potato Day at Ryton Gardens the weekend of my Birthday. This year, with plans already made, I decided I would flick through the Thompson & Morgan catalogue instead whilst making my way through season 6 of Breaking Bad. Abbot / Kestrel / Rocket / Jazzy (I liked the name) / Cara ( I wonder if they will have giant eyebrows) / Pink Fir Apple. I’d better start using some eggs so I can refill the cartons with these lovelies. First thing on my list – make a birthday cake – that should use at least 3 eggs, right?